Each gas condensate development has its own unique challenges. These may include measuring gas rates to allocation standard, accurately detecting low levels of water for hydrate mit igation, or simply optimizing production recovery from marginal fields. Dualstream meters have been implemented in shallow and deepwater water applications in up to 10,000ft (3000m) water. 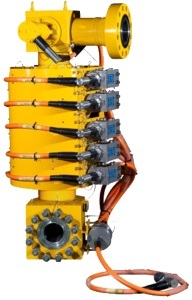 The first subsea Dualstream meter was installed in 1994. Solartron ISA subsea meters are now in operation in the North Sea, Gulf of Mexico, Canada, SE Asia and Australia. The Dualstream family of wet gas meters is uniquely positioned to provide the operator with the optimum life of field solution.